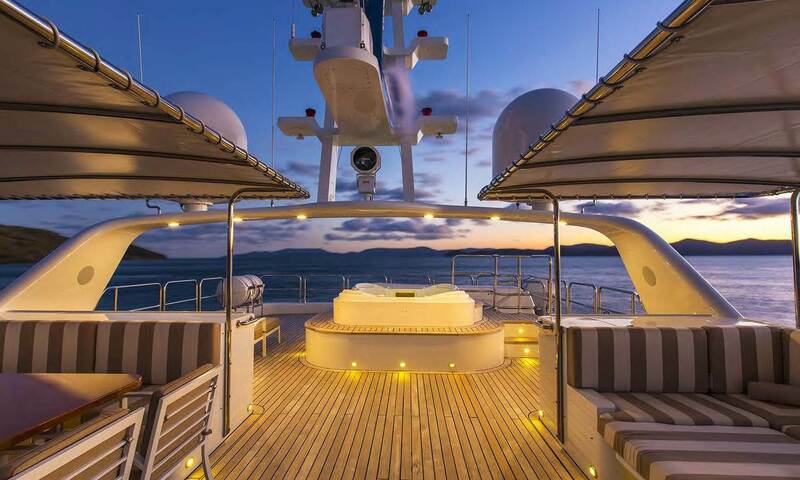 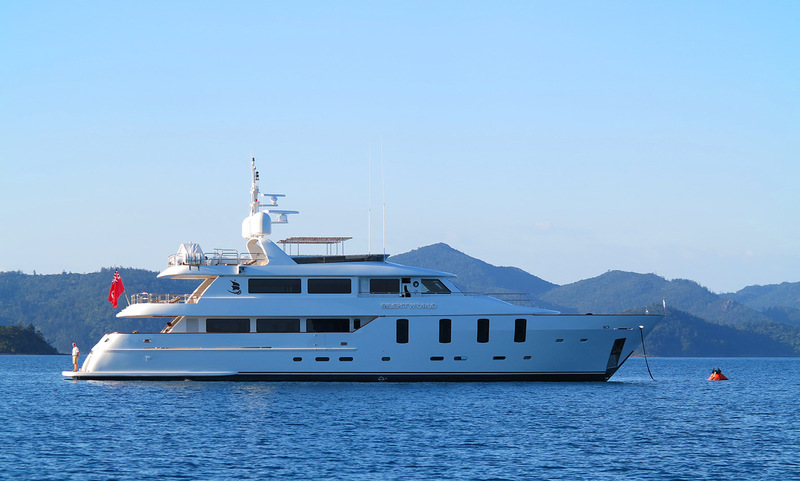 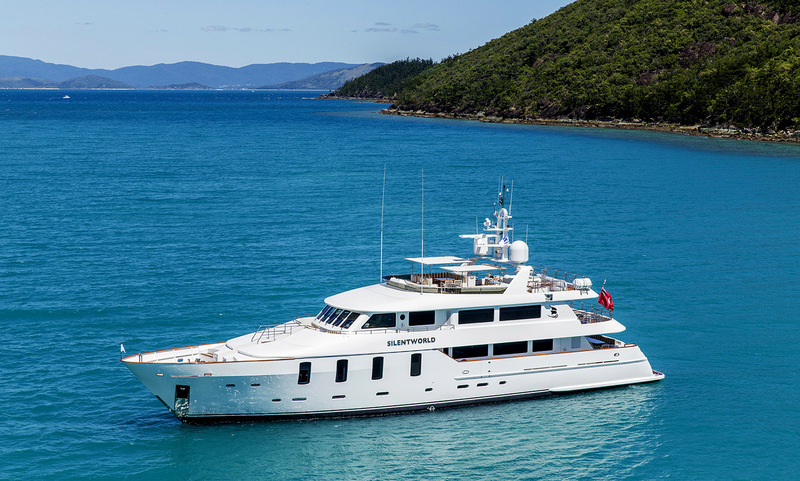 SILENTWORLD is a flawless example of craftsmanship and elegance from world-class motor yacht manufacturer, Oassive. 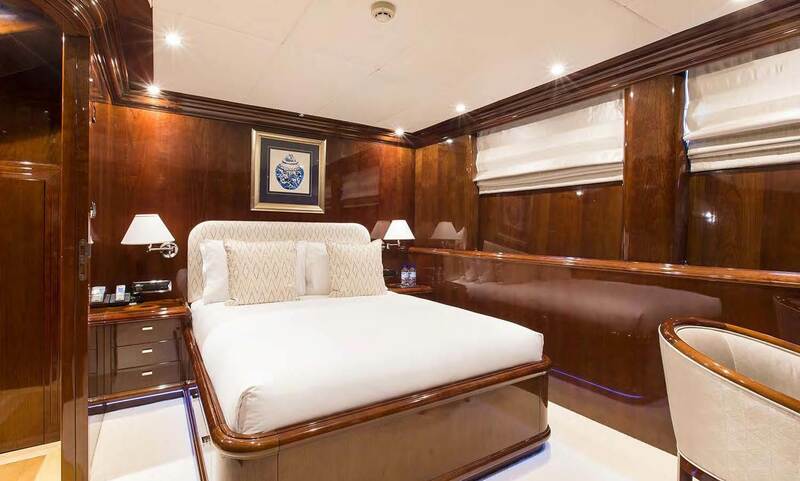 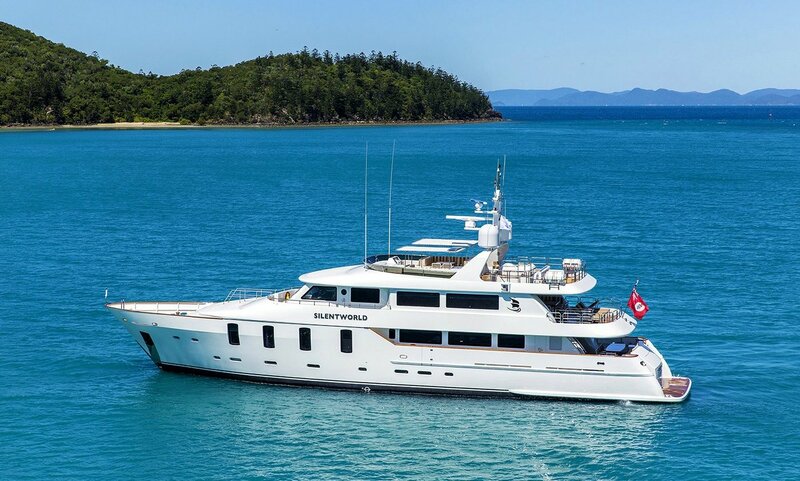 With accommodation for up to twelve guests in 6 cabins and eight crew, SILENTWORLD offers an ideal combination of relaxation, entertainment and adventure. 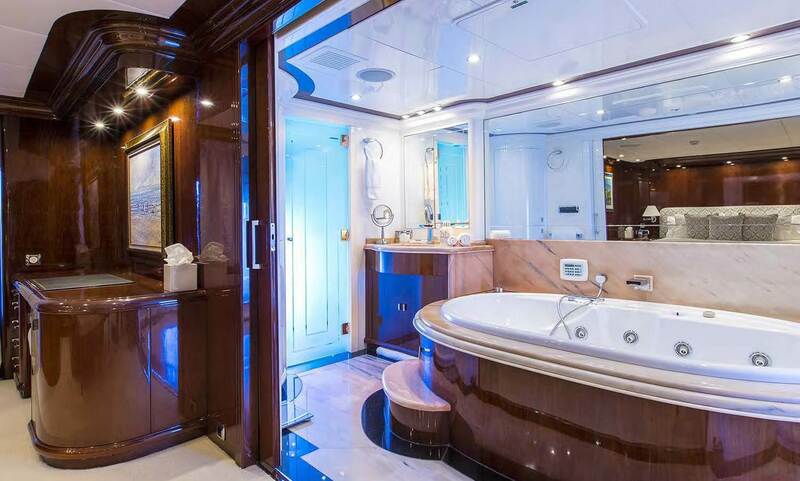 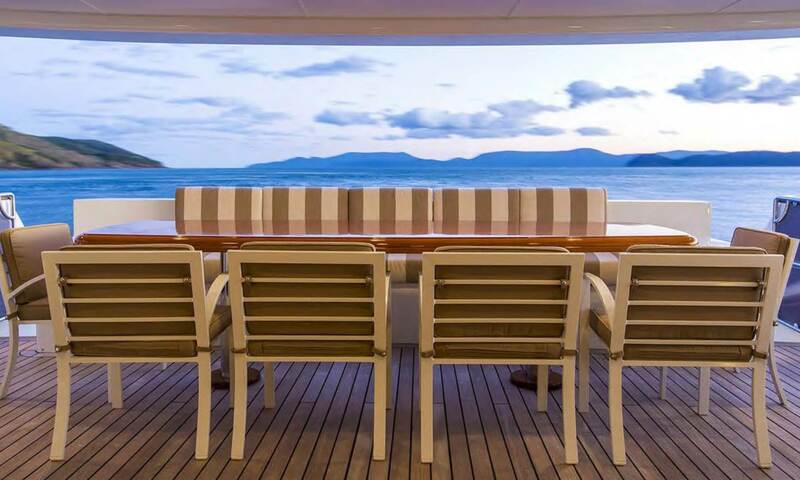 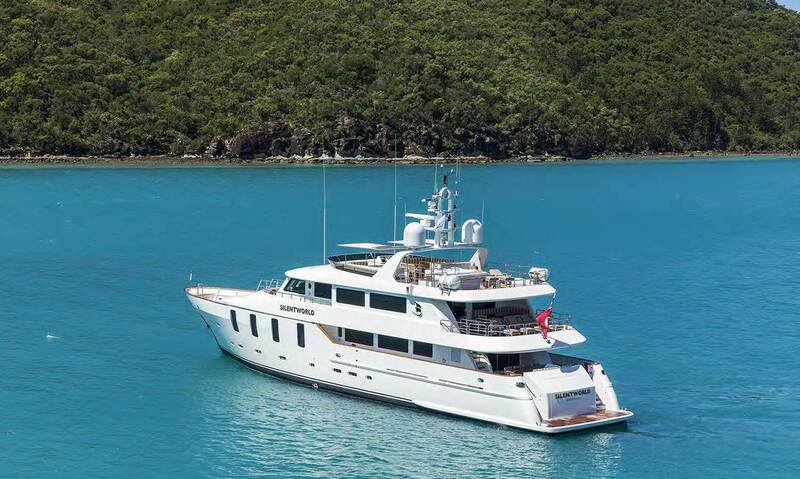 It is the ultimate yacht for those who value unrivalled comfort and style. 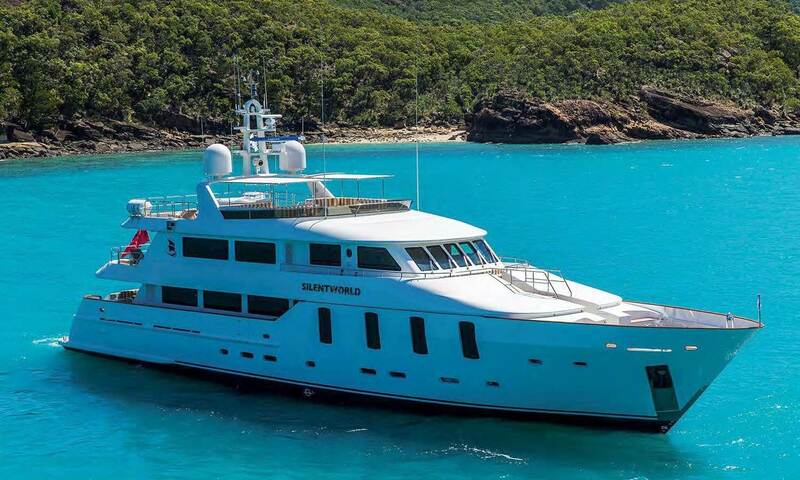 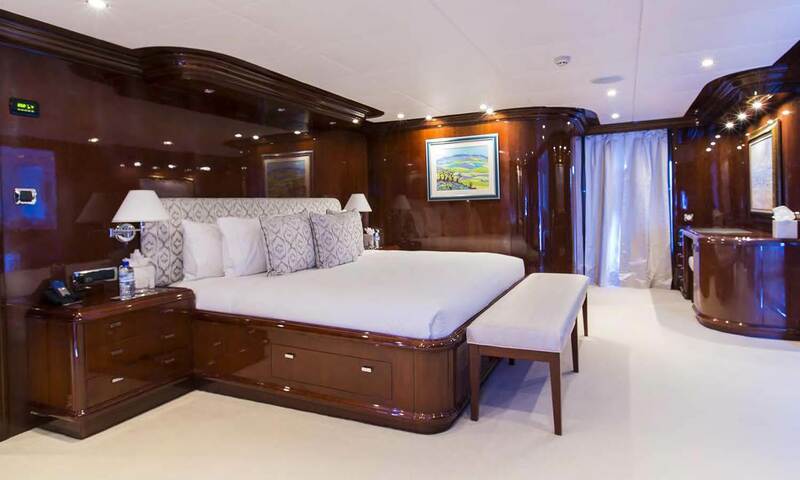 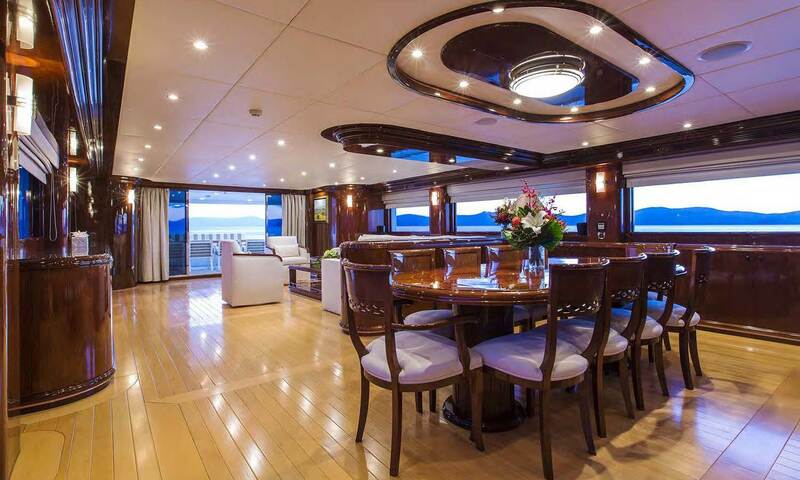 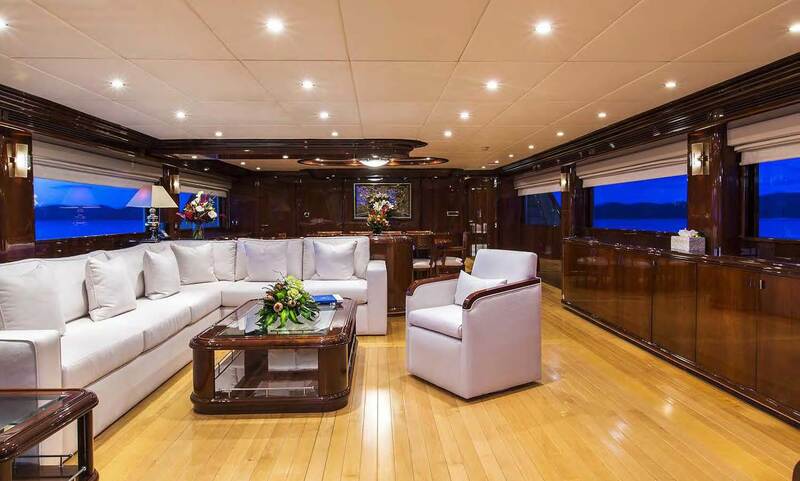 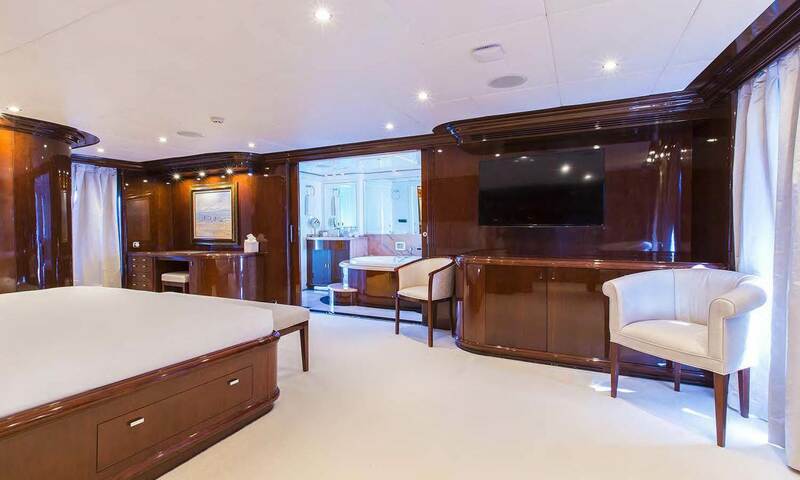 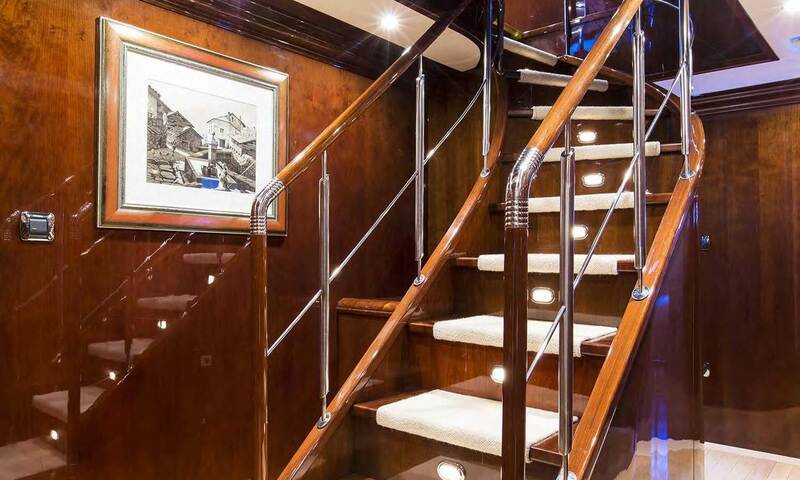 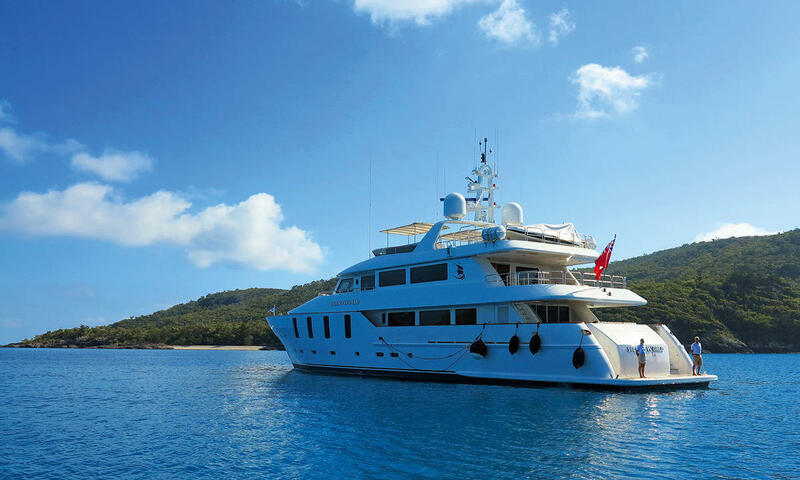 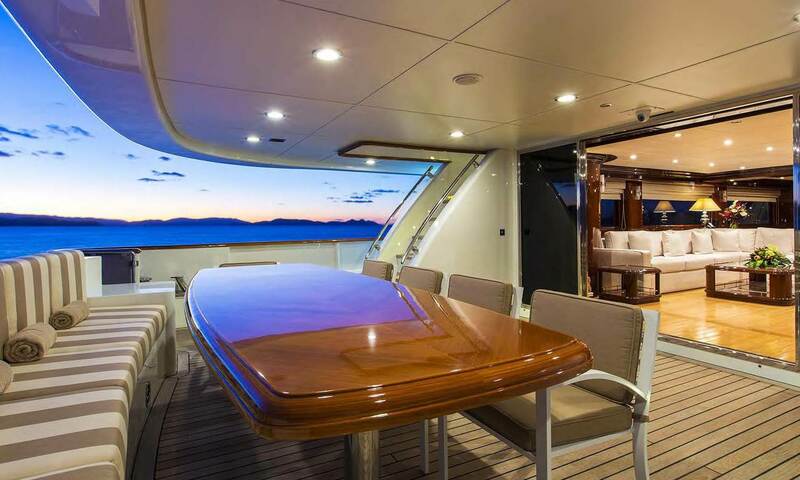 Built in 2006 SILENTWORLD sports several brand new features, including an open top deck for relaxed comfort. 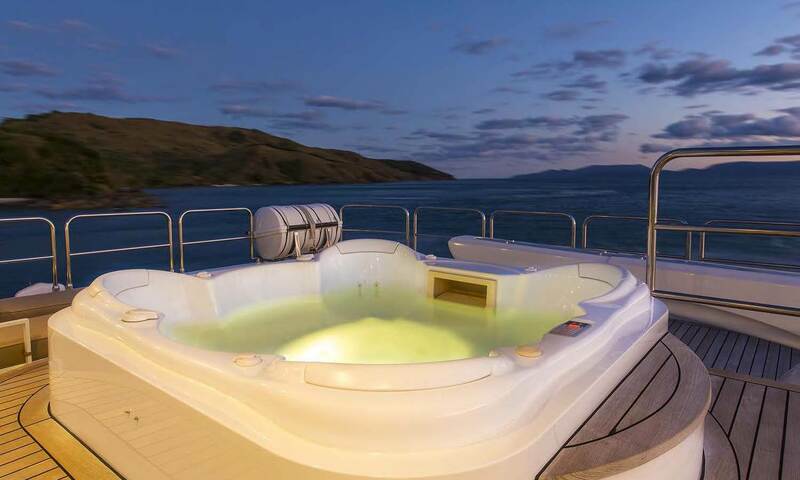 This gives the choice of an undercover or fully open-air cruising experience as the weather and your preference decides. 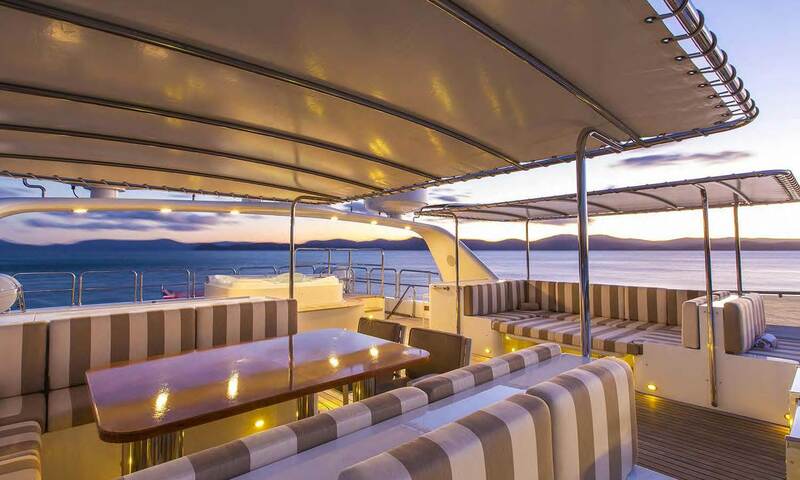 Alternatively, why not choose the sun deck for a full alfresco dining experience under a Beach top that permits access to either sun or shade, while enjoying a gourmet breakfast, lunch or evening dining experience? 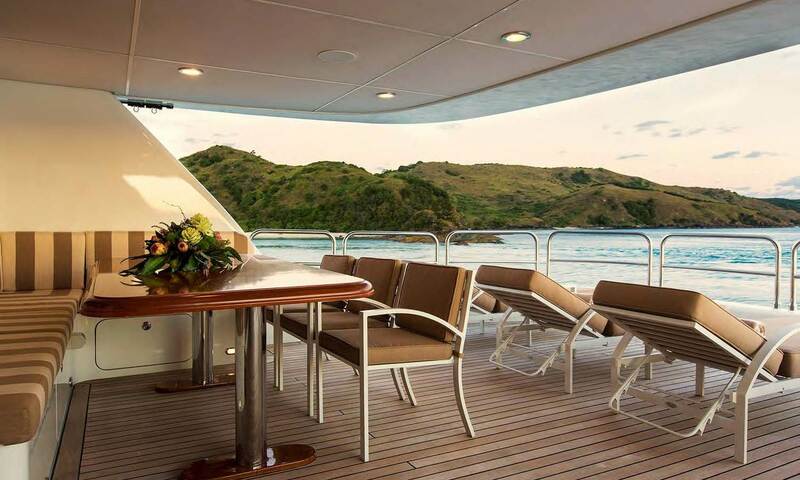 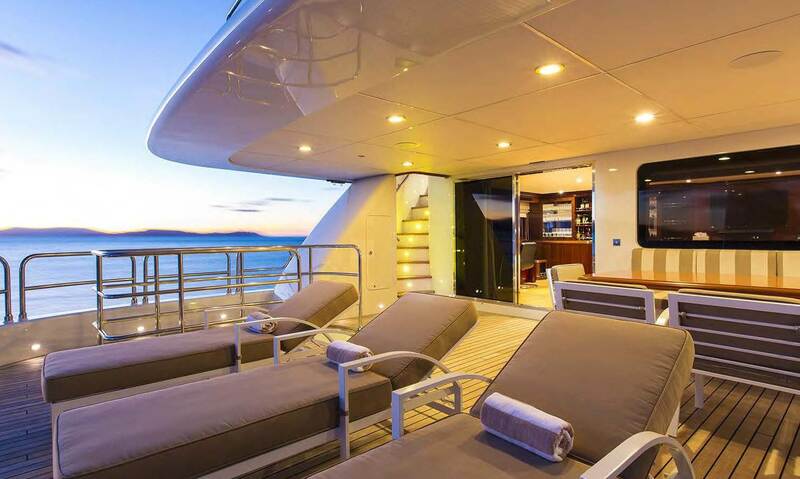 Enjoy a rest in one of the beautiful teak lounges on the amazing sun deck to work on your tan while reading a great book.